Have I told you how much I adore Sunday? Of course, I have. Sunday is whatever you want it to be. So, today, after a pretty awesome day snowboarding in the mountains and wonderful time with friends, I found the perfect input, so I can completely melt into the evening. thanksbird! 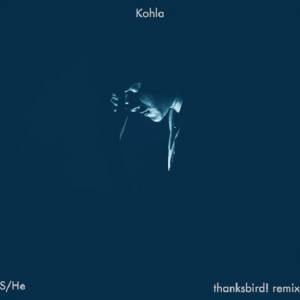 remixed Kohla's gorgeous "S/He" that is somehow both super gentle and energetic, easy and powerful. Enjoy it with a glass of wine, it's tested.